Our certified Lean-Agile Coaches will guide your management and development teams to the highest-performing practices in the industry. 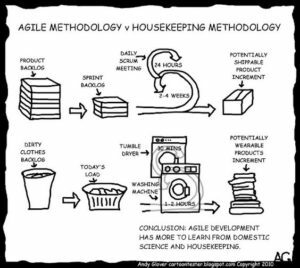 Agile principles and best practices are responsible for some of the most productive development teams in the world. But attending a two-day course is not enough to prepare your teams for hyper-performance; it requires guidance and fine-tuning that Certified Agile Coaches can provide. Working with certified and experienced SPCs (SAFe Program Consultants), we help enterprises implement Lean-Agile principles and practices at all levels, from Enterprise to Portfolio to Value Stream to Program to Agile Development Teams; all leading to high quality product releases. From company-wide bootcamps to intensive role-based training to seminar presentations, our certified Agile professionals will cover the topics to make your teams proficient in both the theory and practice of Agile methodologies. Worldwide enterprise project statistics reveal that 78% of product requirements at the beginning of traditional projects are no longer in sync with the needs of the business by the end. This means that you have a nearly 80% chance of failing to deliver what the customer wants, or delivering a low-quality product; often accompanied by a mad scramble to resolve defects. It's no wonder two-way trust is lost between traditional development teams and management! Agile principles and practices are designed to build your products incrementally, while embracing continuous change and involving frequent stakeholder feedback, in order to dramatically reduce the risks inherent in complex product development. 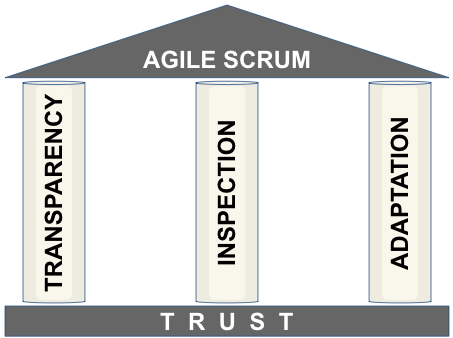 Agile teams are transparent and are constantly improving, restoring trust and adopting practices designed to increase initial quality, reduce rework, and delight your customers. New to Agile? Start with training and bootcamps to set the tone for transition to Agile. Already practicing Agile but need help? Add a certified Agile Coach to fine-tune your teams' performance. Is the enterprise out of alignment with your Agile teams and programs? Consider scaling your enterprise from the bottom-up with the help of certified SAFe Program Consultants.